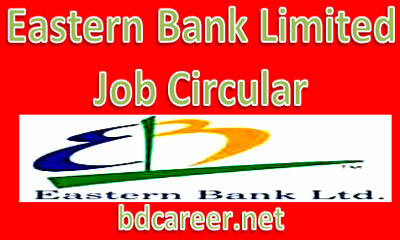 Eastern Bank Limited Job Circular 2018. Eastern Bank Limited will recruit vacancies of candidates for the position of Trainee/Senior/Collection Executive (Trainee Assistant Officer) for the year 2018. EBL New Job circular 2018 for the post of Trainee/Senior/Collection Executive (Trainee Assistant Officer) published on 09 February 2018. Interested and eligible candidates are requested to apply online for the vacant positions. Deadline of Online Application is 17 February 2018.